WOW! was what we all said. My boys were planning to have chocolate peanut butter ice cream at a birthday party later in the day. But when they tasted my Cantaloupe Sea Salt Ice Cream (because I often make ice cream for breakfast) they both asked if they could have it instead. (!) It’s that good. 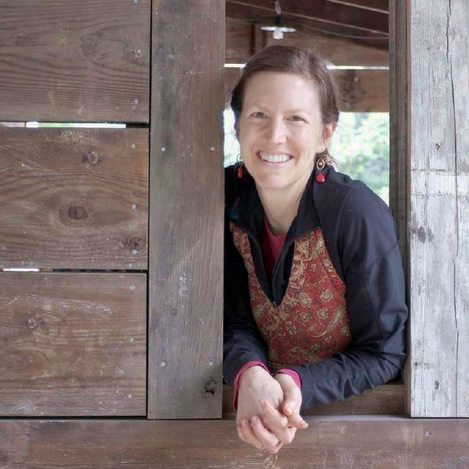 It’s also traditional, paleo/primal and GAPS diet-friendly. As a girl, I remember the enigmatic experience of watching my dad put salt on his sweet morning cantaloupe. I admired so much about him. But this. This I would not do. This year, he just turned 87. 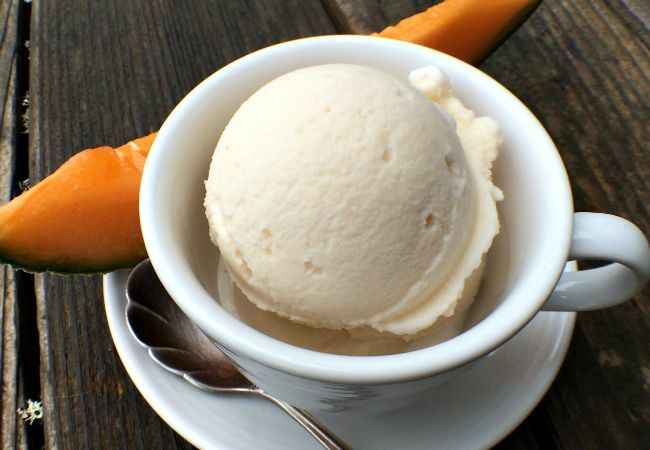 On the morning of his party as I was trying to think what kind of raw milk ice cream to make, cantaloupe came to mind, because it’s what we had an abundance of, from my mom’s garden. I thought about what to put with it, to make it special. In the past I have made cantaloupe mint, with honey. But our wild mint has a quirky flavor I wasn’t buying. And then I thought of my dad, and sea salt and I thought it was worth a try. When I took the first bite I was skeptical of my own ability to nail the recipe the first time, and also whether or not the flavors would work. But all my mouth said was, WOW. I had my oldest son try it immediately; I was so enraptured, wanting his reaction, too. And that’s when he said it’s what he wanted, instead of the Chocolate Peanut Butter and Honey they all love so well. It was a sealed deal. This is one lovely ice cream. Another cool aspect to this recipe is that it satisfies. While I could eat coffee or lavender ice cream all day, this one, because of that little bit of sea salt, satisfies sooner. I savored each bite. I ate it slowly. And I didn’t long for more when it was over. I just sat back with an internal smile, feeling satisfied and happy and healthy. This, by the way, would make a great electrolyte ice cream! Serve it to the athletes in your life, after a good work-out. Rich in vitamin C, sodium, potassium, calcium and magnesium, you’ll be recharging and refreshing the body with every delicious bite! Which salt to buy and use? I recommend Celtic Sea Salt (find it here). It’s wet; it’s grey; the body absorbs it well. Any high quality, French sea salt is a good option. Summer harvests hold mountains of melons. 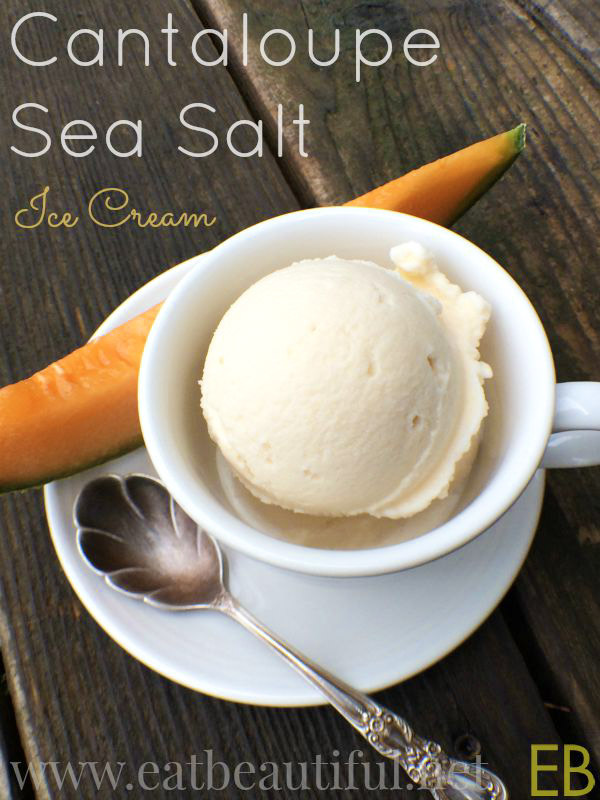 Grab your cantaloupes this season, as an hurrah of summer, and eat this ice cream to your heart’s content! Combine all ingredients in blender and puree for about 40 seconds, until completely smooth and the honey has fully dissolved. This sounds so delicious + refreshing! 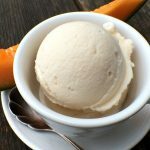 Such a yummy ice cream recipe! I love the sound of this. Sea salt on anything is my motto! This sounds amazing! I’m going to have to try adding sea salt to cantaloupe slices too 😉 Great recipe! I love the idea of this ice cream!! So refreshing!